Tao Source Music flows from the Source . 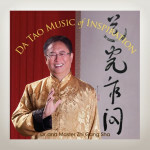 When you listen to Tao Source Music, you’re tapping into the power of sound at the Source frequency level. Listen to the heart-touching and moving music of Master Chun Yen Chiang and experience the Source frequency and vibration of love, forgiveness, compassion and light. Every time before you listen, silently request a blessing. Tao Source Music flows from the Source. When you listen to Tao Source Music, you’re tapping into the power of sound at the Source frequency level. Listen to the heart-touching and moving music of Master Chun Yen Chiang and experience the Source frequency and vibration of love, forgiveness, compassion and light. Therapeutic sound attunes your soul, heart, mind and body by helping one maintain energetic balance and natural harmony and well-being. Your body naturally resonates with this elevated frequency, and responds by aligning and sustaining your physical, emotional and mental health, relationship and financial health, and more. Every time before you listen, silently request a blessing.